SUBSCRIBE now to my weekly newsletter and receive a FREE ebook! 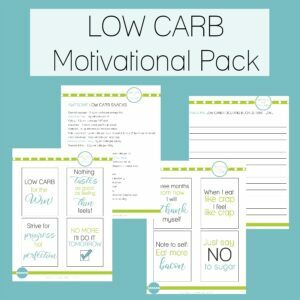 Are you new to low carb diets? Start here! 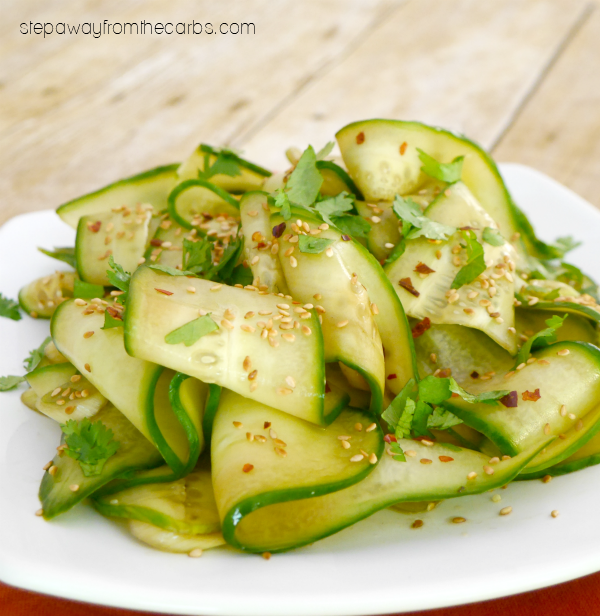 This Asian-inspired cucumber salad is a great low carb side dish that is light and refreshing. The following post contains affiliate links, which means that at no extra cost to you I can make a tiny bit of money to help support this blog. Thank you! 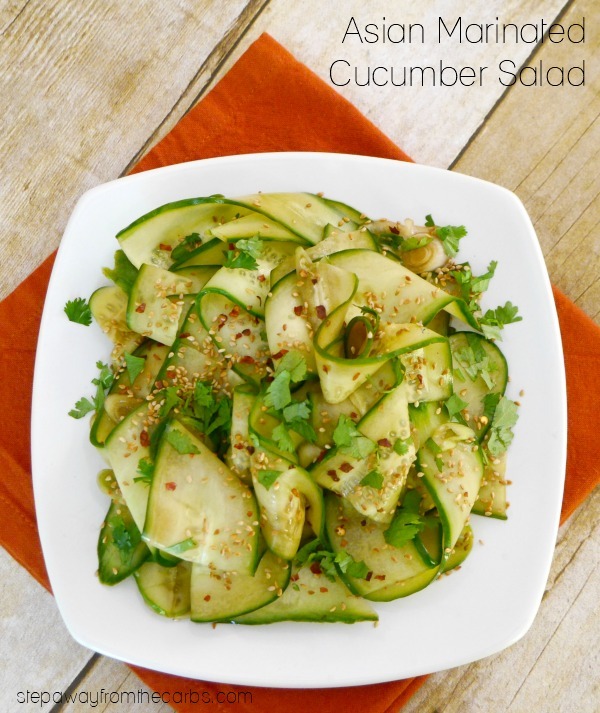 This salad is made from ribbons of cucumber marinated in an Asian-inspired dressing. This dish is great for a side dish, appetizer, or eaten just on its own! Make the marinade by combining lime juice, soy sauce, rice vinegar, and chopped green onion. The smell is fantastic! 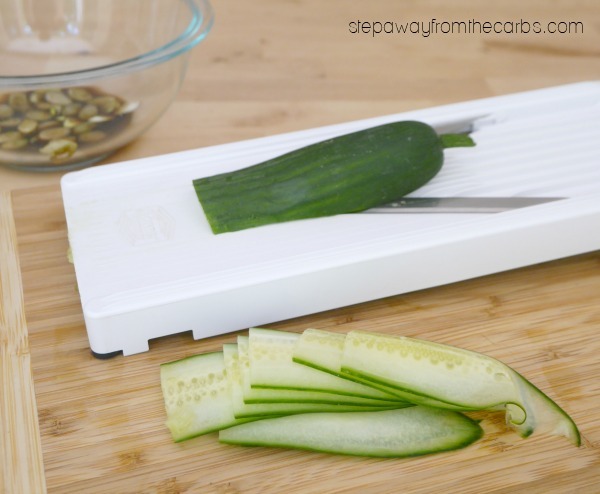 Slice the cucumber into ribbons using a mandolin. I love my mandolin but don’t use it often enough – so it’s great to get it out of the cupboard and use it again! If you don’t have a mandolin then a vegetable peeler would be OK, but a mandolin is WAY more satisfying! Marinate the cucumber ribbons in the dressing for at least an hour in the fridge – or overnight is great too. When ready to serve, drain the cucumber. Toast some sesame seeds in a dry frying pan. 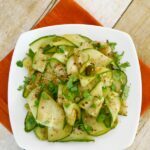 Arrange the cucumber on a serving plate and sprinkle with the sesame seeds, fresh cilantro leaves and red pepper flakes – if you like. Which I do like – very much!! To make the marinade, mix together the lime juice, soy sauce, rice vinegar, and green onion. Use a mandolin to slice the cucumber into thin ribbons. 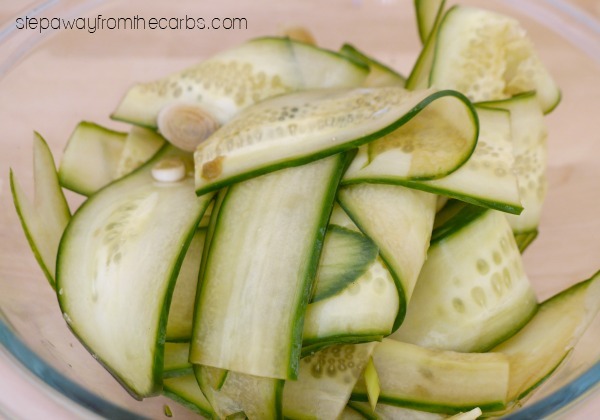 Marinate the cucumber in the dressing for at least an hour or overnight. Keep in the fridge. Drain the marinade from the cucumber and arrange ribbons on a serving plate. Toast the sesame seeds in a dry frying pan until medium brown in color. Garnish the salad with the sesame seeds, fresh cilantro and red pepper flakes, if using. Please note that the carb count will actually be slightly less as not all the marinade is consumed. Check out my Low Carb Side Dish Recipes Ebook! 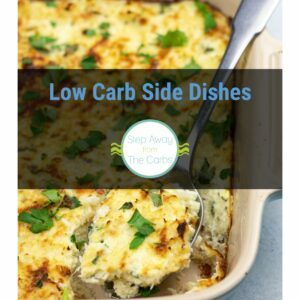 Need more easy low carb side dish recipes? My ebook features 18 dishes that need 5 ingredients or less! 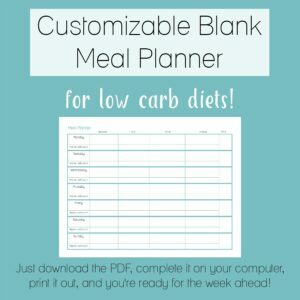 Search for low carb recipes! 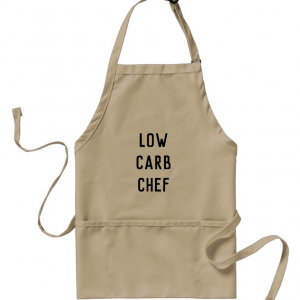 Discover more low carb recipes! This site is a participant in the Amazon Services LLC Associates Program, an affiliate advertising program designed to provide a means for sites to earn advertising fees by advertising and linking to Amazon.com and affiliated sites. The author of this site is not a doctor or healthcare professional. The information and opinions expressed in this book are believed to be accurate, based on the best judgement available to the author. Always consult your physician, doctor, or healthcare provider before beginning any weight loss, nutrition or exercise program. Nutritional information for this recipe is provided as a courtesy and is my best approximation. I cannot guarantee completely accurate data due to variations in ingredients and cooking methods. Carbohydrates from sugar alcohols are not included in net carb counts as it has been shown that they do not impact blood sugar. Net carbs are the total carbs minus fiber.